Version 3 of TimePlus has been released and now includes finger print scanning for employee identification. TimePlus is the online time capture solution for Sybiz Vision and Sybiz Visipay from Plus Software Solutions. Finger print scanning is now available for both Payroll and Job Time Capture. 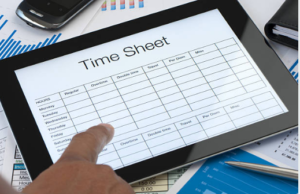 TimePlus allows employee time sheets to be captured electronically by staff in a simple and efficient way. The electronic time sheets can be edited and approved by managers. Once authorised, hours can be sent to both payroll (Visipay) and Job Costing (Sybiz Vision). Data is tracked separately for payroll and jobs. TimePlus interprets the time sheets of each employee, determining any Normal time, Time & Half or Double time based on pre-defined parameters that are created. It allows the time sheets to be approved by supervisors before being posted to Sybiz Visipay payroll and Sybiz Vision Job Costing. Accessible via a web browser via the internet as well, time sheets can be captured from any location via any device with great efficiency.